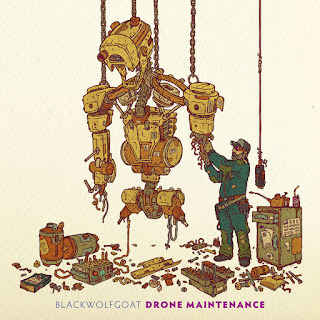 Blackwolfgoat are a band from Massachusetts that plays a mixture of ambient, drone and doom metal and this is a review of their 2014 album "Drone Maintenance which will be released in August by Small Stone. Dark and distorted sounding drones start off the album with some spoken word parts and after the intro programmed beats, melodic guitar leads and powerful sounding bass guitars are added into the music and the following track sees the band adding in more clean guitar playing and there is a great amount of diversity presented throughout the recording. On the 4th track the band go more into an acoustic folk direction before returning back to a drone direction on the following track and bringing back the spoken word parts that where present on the first song which leads up to a more experimental rock direction on the following song and it kicks completely into that direction as well as adding in some high pitched screams that are very close to black metal. Song number seven starts out with distorted yet melodic guitar leads and background noises while the following song is very long and epic in length as well as seeing the band return back to the more acoustical direction and the following track is a minute long and shows the band adding in a more drone and heavy doom sound which also continues on the last track. 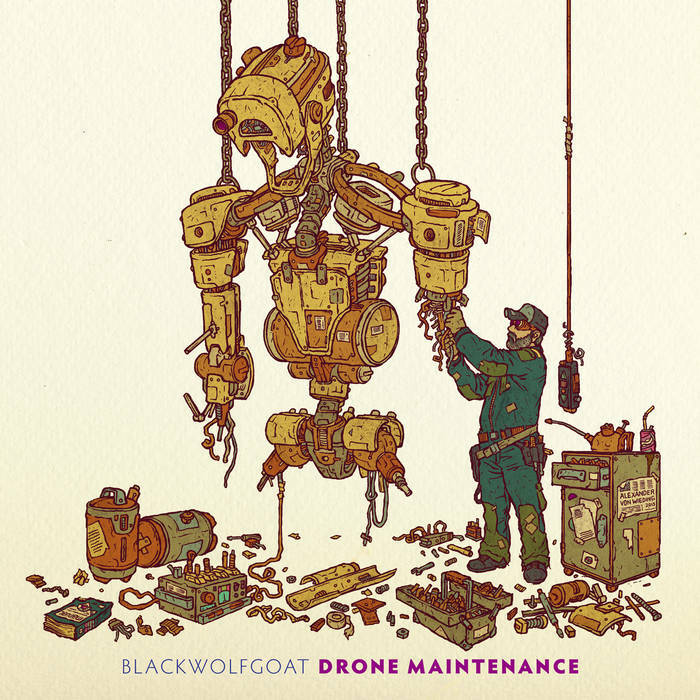 Blackwolfgoat creates an album that is very hard to classify with the music combining ambient, drone, experimental and a small dose of doom metal to create the sound that is present on the recording, the production sound s very professional while the song themes cover utopia. In my opinion Blackwolfgoat are a very great sounding mixture of ambient, drone, progressive, experimental and doom metal and if you are a fan of those musical genres, you should check out this band. RECOMMENDED TRACKS INCLUDE "Sunfall" "Night heat" "White Hole" and "Cyclopean Utopia". 8 out of 10.